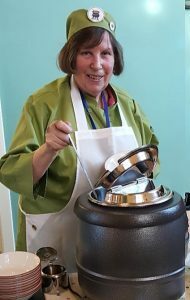 Founder of our Soup Pot, Rita McNeil. 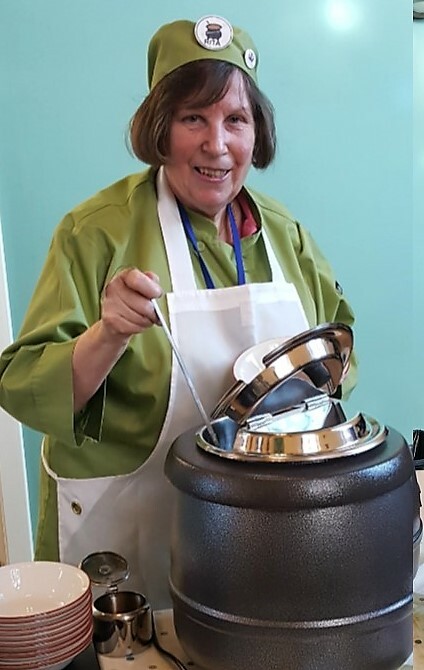 Rita serves our customers with a smile! 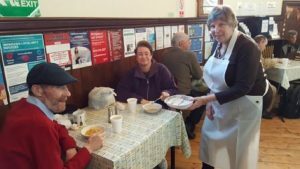 Our Soup Pot project began with a small group of volunteers from Ludgate Church recognising the need to provide a place for the men from the nearby hostel to go somewhere warm and have a nutritional meal. 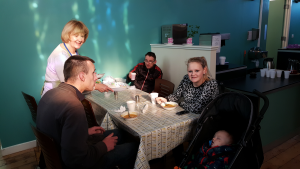 Starting with a handful of homeless people in 2004, the demand for our service has grown at an alarming rate and now in the winter months we can provide up to 40 people twice a week with free food, drinks, toiletries, warm clothing and small household goods. Open: Tuesdays (all year round) and Thursday (winter opening times: First week in November until the last week in March).